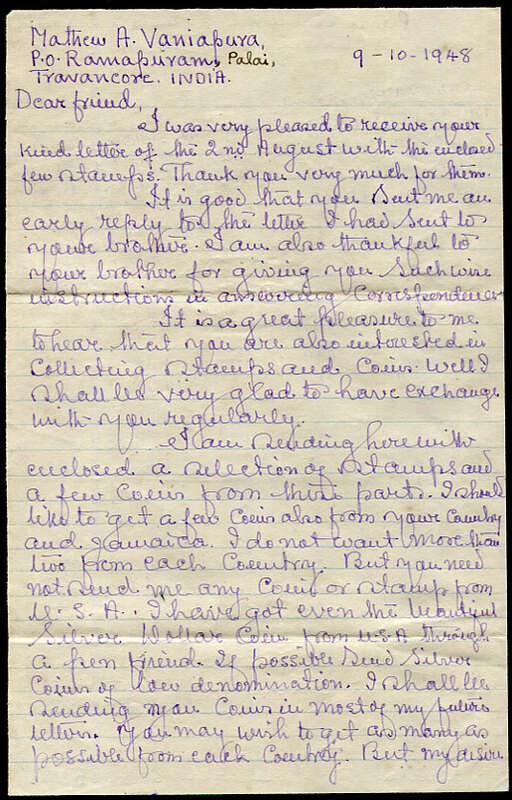 1948 envelope (containing coin contrary to regulations and clearly escaping compulsory registration) with letter written 9-10-1948 appended "I thought I had posted this letter long ago - Sept 3 1949 Posting date" with India 3a, 3ps pair tied EXPERIMENTAL P.O. 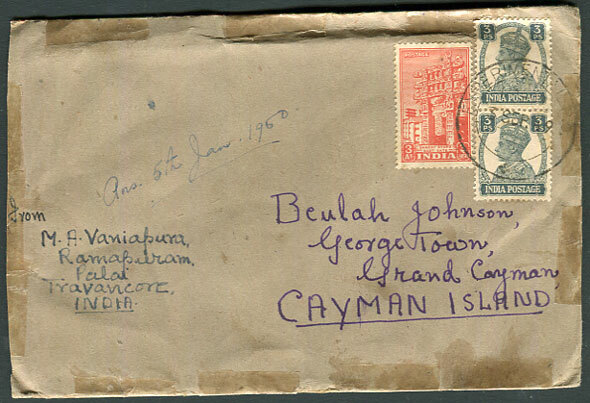 d/ring dated 3 SEP 49 to Beulah Johnson, Georgetown, Grand Cayman. 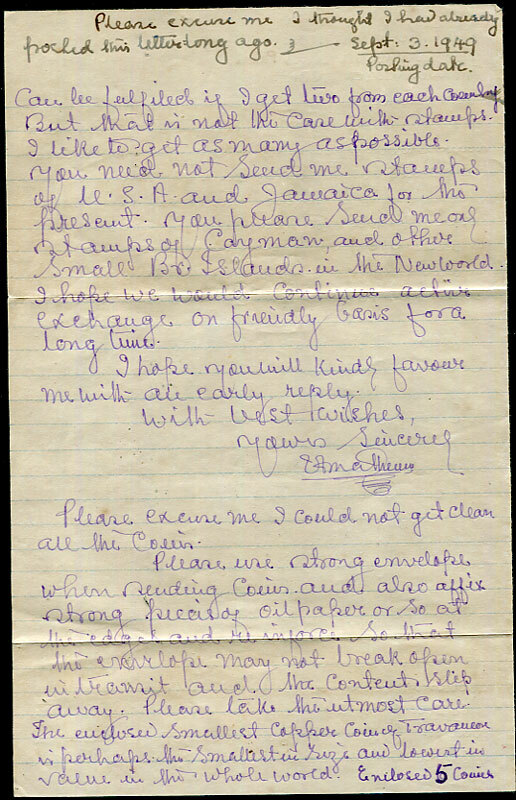 Writer says to use strong envelopes and pieces of oil paper at edges to stop coins slipping out, and "The enclosed smallest copper coin of Travancore is perhaps the smallest in size and lowest in value in the whole world - Enclosed 5 coins." 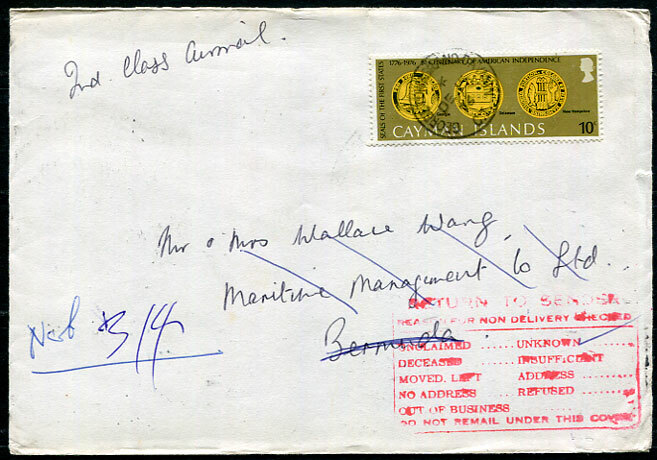 1976 Christmas card envelope marked 2nd Class Airmail to Bermuda with QE2 50c pmk'd Georgetown, Grand Cayman */DE 13 76, on arrival boxed RETURN TO SENDER non delivery handstamp applied as recipient unknown. 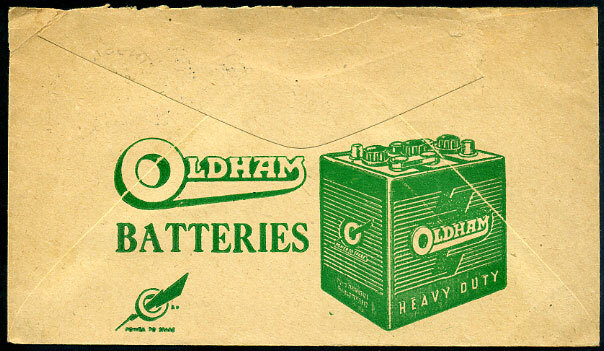 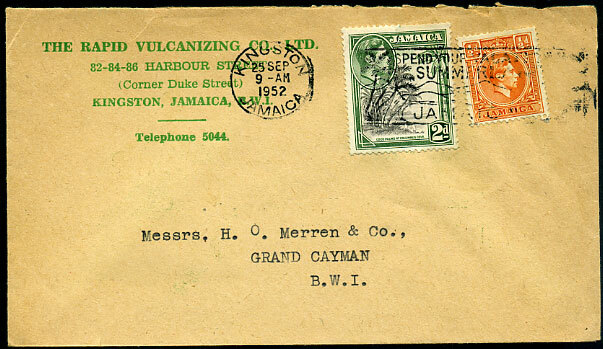 1952 advertising cover from The Rapid Vulcanizing Co. Ltd, Kingston to GRAND CAYMAN with KG6 ½d, 2d pmk'd Kingston 25 SEP 1952. 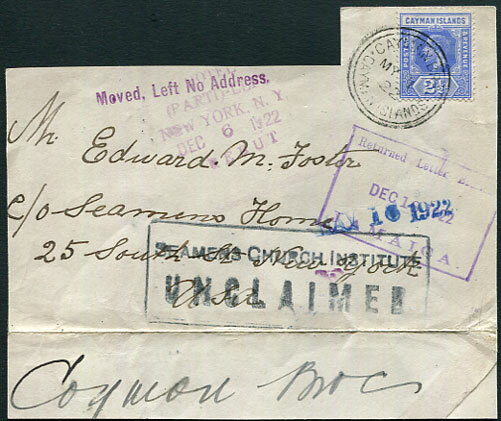 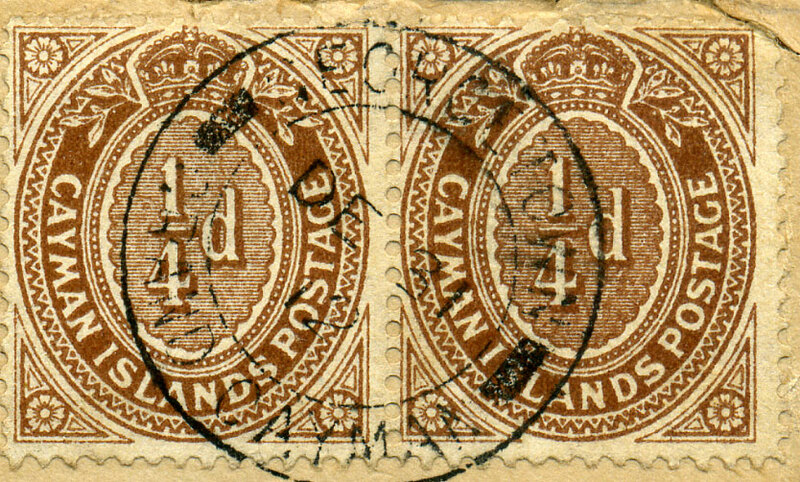 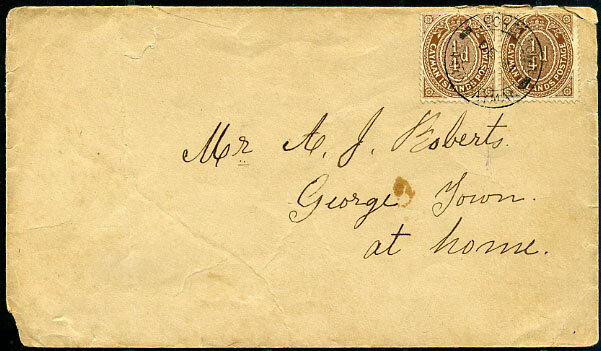 1912 local cover to Mr. A. J. Roberts, George Town at home with pair ¼d pmk'd GEORGETOWN DE 31 12 d/ring and docketted on reverse as received the same day, some smaller faults.